Here is a link to this year’s sponsorship packet. If you or your business are interested in sponsoring, just mail us the sponsor form with your donation or call if you have any questions. Aiden Tucker Watters is the 15 year old son of Jeremy Watters (wife Kathy) of Morrilton and Summer James (husband Jeff) of Plumerville. Aiden has three brothers (Drew-19, Daeron-18, Blake-14) and one sister (Sydnie-12). Aiden and his family have had several difficult events since November 2016. His stepmother, Kathy, had an illness that required major surgery and an extended recovery time. During this same month, Aiden’s stepfather, Jeff, lost his battle with liver disease and renal cell carcinoma. The family hoped that December would be a better month. However, Aiden developed a bad cough the week of his stepfather’s funeral. Not long after that, he started having shortness of breath. He was taken to his family physician. When the doctor did a chest x ray, it was apparent that something was not right. 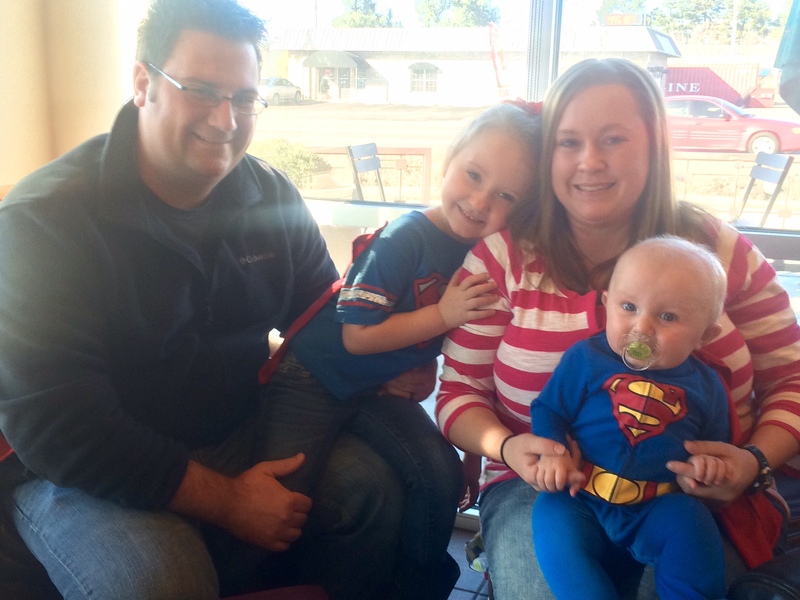 Aiden and his family were sent immediately to Arkansas Children’s Hospital. Aiden was quickly examined and after several tests, the family heard the news that a parent never wants to hear. Aiden had a very large mass in his chest that was causing severe respiratory distress. The mass was caused by T-Cell Acute Lymphocytic Leukemia. Sponsorship Packet – Click here if you are interested in sponsoring this year’s race! Below is the list of awards for the 2015 River Valley Superhero 5K. I realize we had several issues with timing on race day, but I hope that the kinks have been worked out. However, if you feel that the information provided is not accurate, please let us know and we will do what we can to correct it. If you are listed to receive an award and did not receive one but would like one, please contact us via email or Facebook so that we can arrange a date and time to meet. If you received an award at the race but are now not listed to receive an award, we apologize for the confusion… you may keep the award presented. This year’s superhero is Liam “He-Man” Holland and is hands down the bravest baby we have ever had the pleasure of meeting. Diagnosed with neuroblastoma only hours after birth, Liam is an amazing little guy that is less than a year old! Liam is the son of Devin and Elizabeth Holland of Russellville. His sister, Madi, is four years old. His cancer affects his kidney and the surrounding area. Liam has undergone several rounds of chemo at Arkansas Children’s Hospital and was referred to the Children’s Hospital of Philadelphia (CHOP) for a surgery consult. On January 29, 2015 Liam was officially deemed cancer free after an operation was conducted to remove the tumor. Although the battle isn’t completely over, the outlook for Liam is spectacular! You can click on the orange “Register” link to the left, or click the link below to be directed to the online registration through Eventbrite. Here is a printable registration form for those who prefer mail-in over online! Are you or your business interested in sponsoring the race? Click the link below to download our sponsorship packet. It will explain our different sponsorship levels and give you a background of our race and this year’s beneficiary.